WEEKES, WILLIAM, lawyer and politician; b. in Ireland; d. 11 Oct. 1806, probably in Niagara (Niagara-on-the-Lake), Upper Canada. For a time Weekes supported the administration of Lieutenant Governor Peter Hunter, whom he initially discovered to be “rigorous in his mandates, and deliberate and judicious in his measures,” and from whom he had hopes of advancement. 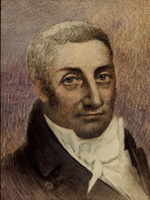 It is possible that he hoped to win official favour when he attempted to secure the election of judge Henry Allcock to the House of Assembly in 1800. As the agent of Allcock, but apparently upon his own initiative, Weekes contrived to have the poll closed, by reason of riot, when his candidate was in the lead. This election was voided, however, upon appeal to the assembly [see Samuel Heron]. In 1804 Weekes himself stood for election at Durham, Simcoe, and the East Riding of York. Defeated by the incumbent, Angus Macdonell (Collachie), Weekes blamed government influence. The following year, having campaigned against the Sedition Act passed during the previous session, and against the removal of moneys from the treasury by the executive without approval of the assembly, he was returned in a by-election for the same riding. 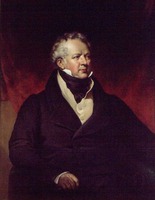 Immediately upon taking his seat he gave notice of motion to consider “the disquietude which prevails in this province by reason of the administration of public affairs.” The money issue was settled when the administration restored the amount to the treasury; Weekes’s motion was defeated by a vote of ten to four. In 1806, when arguing at the Niagara assizes before judge Robert Thorpe*, Weekes referred to the late Lieutenant Governor Hunter as a “Gothic Barbarian whom the providence of God . . . removed from this world for his tyranny and Iniquity.” His fellow counsel, William Dickson*, took issue with the propriety of the remark. 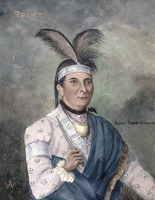 Two days later Weekes challenged him to a duel that was fought on 10 October in the vicinity of Fort Niagara (near Youngstown), N.Y. Weekes was mortally wounded and died the following day. 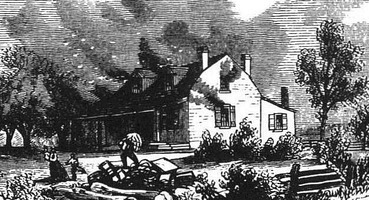 The funeral was held at the home of the Niagara merchant John MacKay; Ralfe Clench*, Robert Nelles*, and Isaac Swayze* were among the special mourners, most probably because they were fellow assemblymen. MTL, William Weekes, letter to George Alps, 16 Jan. 1801 (transcript). York County Surrogate Court (Toronto), will of William Weekes, 10 Oct. 1806 (photocopy at MTL). “Political state of U.C.,” PAC Report, 1892: 32–135. Town of York, 1793–1815 (Firth). Upper Canada Gazette, 2 March 1805. S. D. Clark, Movements of political protest in Canada, 1640–1840 (Toronto, 1959). J. E. Middleton and Fred Landon, The province of Ontario: a history, 1615-1927 (5v., Toronto, [1927–28]). H. H. Guest, “Upper Canada’s first political party,” OH, 54 (1962): 275–96. G. [H.] Patterson, “Whiggery, nationality, and the Upper Canadian reform tradition,” CHR, 56 (1975): 25–44. G. H. Patterson, “WEEKES, WILLIAM,” in Dictionary of Canadian Biography, vol. 5, University of Toronto/Université Laval, 2003–, accessed April 24, 2019, http://www.biographi.ca/en/bio/weekes_william_5E.html.